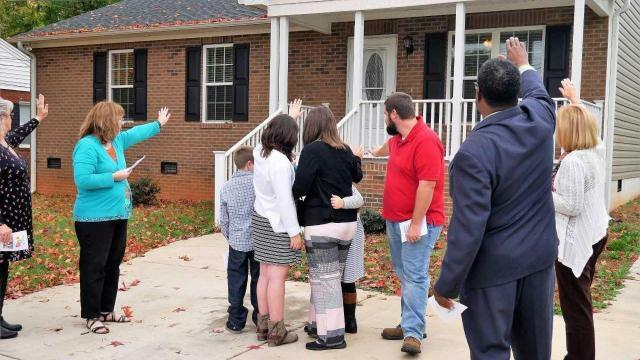 Marjorie Parker admires the neat, new Habitat for Humanity home in Lexington that was being dedicated in early November 2017 and reels off a litany of generosity, dedication and hard work that made it possible. The land was donated. Brick, blocks and labor were donated by Triad Masonry. Unilin Flooring provided the floors, and volunteers installed it. Atrium Windows and Doors provided, appropriately, the windows and doors. 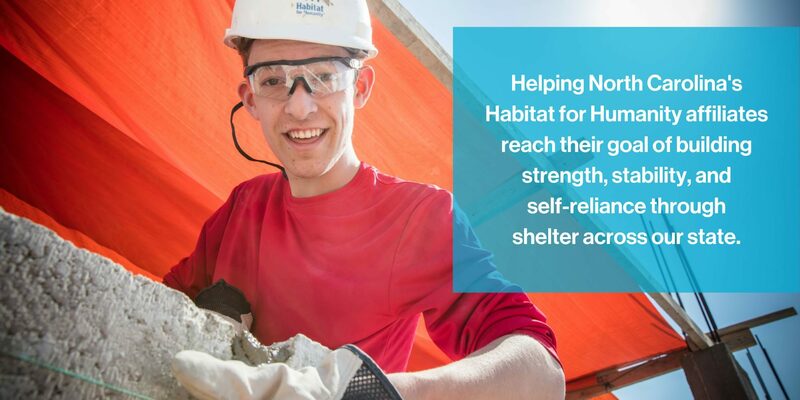 And all the labor was the work of many hands, all volunteers – including the interior painting, done by board members of the Lexington Habitat affiliate. But Parker, executive director of Lexington Area Habitat for Humanity, remembers most the students who honed their skills on this house that will soon be home to a family of five. “Three local high schools participated in the building of the home,” Parker says. Lexington Senior High School shop class students helped with framing the house, and they built the outdoor storage shed and a picnic table under the supervision of their teacher, Jeff Mahoney. West Davidson High School Future Farmers of America worked on the landscaping. And Central Davidson Senior High School’s electrical class provided the electrical work under the supervision of Dwayne Buie, their teacher, who is a certified electrician. Work on the house was good experience for his Electrical Trades class, says Buie, who has taught for 15 years. “Sixteen students helped us work on the house. They began with the start of construction,” Buie explains. It was a job that required the students to do basically what an electrical contractor would do. The project took his class about three weeks’ worth of three-hour-per-day classes. And it passed inspection on the first go-round. Buie looks back on the students who worked on the Habitat home: A couple of them are doing electrical work. Others are HVAC specialists, and some are into installation of security systems. But the real satisfaction is in a job well done. And the work gave his students a taste of the trade and the chance to decide for themselves whether it’s a profession they would like to pursue. Best of all, for Marjorie Parker, those students, representing three high schools, did good work for a good cause. And today a young family has a solid foundation for their future. And it’s all because a big group of people got together and gave the family a boost.